So one day I was cleaning out my kids’ closets. It’s amazing how much stuff one ends up accumulating, and how many items get forgotten, hiding underneath those haphazard piles of clothes. As I worked through the morning, I kept thinking of two friends–Irene Ferrer and Israel Tarlit, and how they are faithfully serving God by serving the poor in various communities in the Philippines. And as the pile of outgrown clothes grew, so did an idea in my head. I started to separate the clothes into two piles: one for the stuff I was sending to my family back home and the other for stuff that I could send to my friends, stuff we otherwise normally drop off at the nearest Salvation Army store. To take it one step further, and because I couldn’t do this on my own, I sent out an email to some friends telling them what I wanted to do. It became a project for our church youth group. And the rest of the story played out pretty well thanks to God’s provision and people’s willingness to give. Here’s the story, through a few pictures. I tried to avoid posting faces, because I don’t mean to simply touch you emotionally. It needs to go beyond that. We may feel bad about poverty, but our feelings do not make a difference to those who are impoverished unless we make them tangible. Moving on. 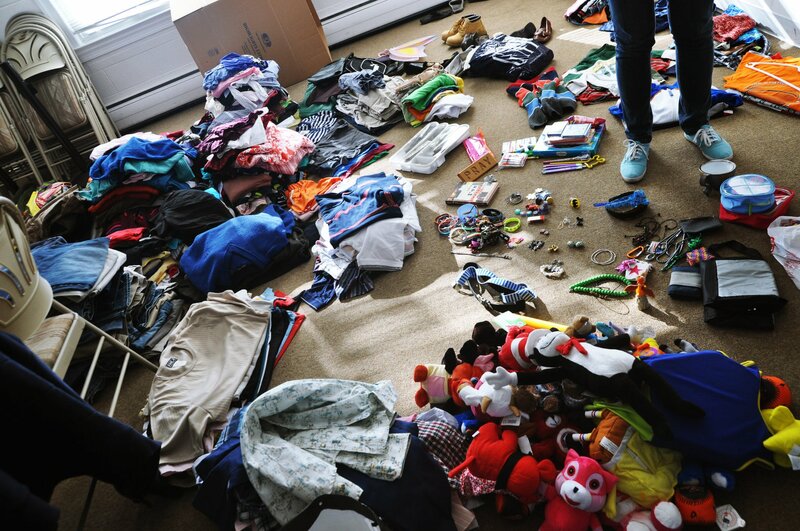 After people dropped off their donations, we sorted, packed and labeled. We ended up with six boxes, and questions about how we were going to come up with the shipping fees. Still, if God wanted these boxes to get to their destination, He’d take care of that concern. To jump start your imagination, I’m sharing the next three pictures, all taken by Kaye Rillera. See those toys and clothes? They’re old, they’re used, they’ve gathered dust. But they can still fill a need. Only God knows how. Some people gave money. So we bought school supplies, which are always a big hit. Irene volunteers at public schools as a Values Education teacher and these sure will come in handy. 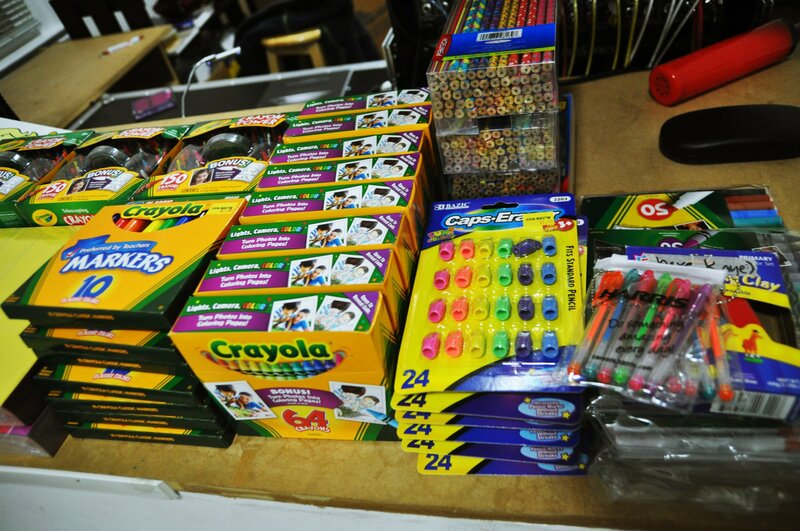 Israel and his group are starting a literacy project and pencils and crayons are needed as well. I believe education is one major way to fight poverty. Teaching children their ABCs and providing the means for them to write and draw is a good place to start. 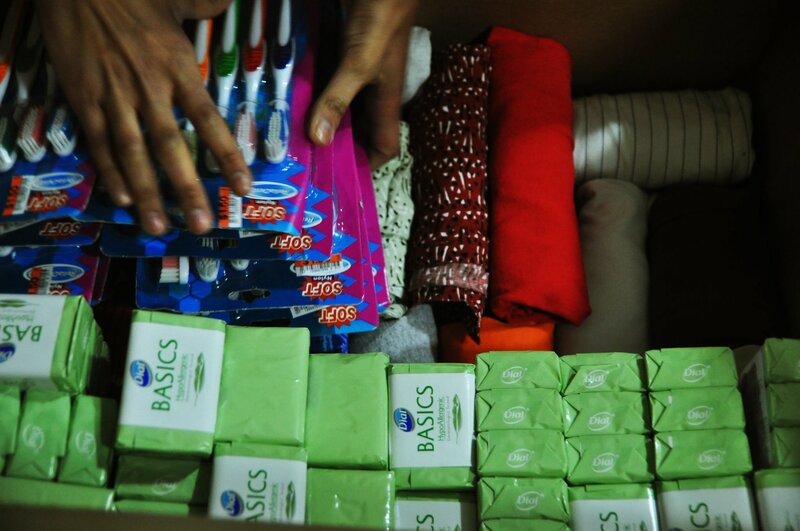 Clothes, with toiletries–they never fail to fill a need. And we’re all packed up. Plus, thanks to more people, we had enough to pay for shipping. So we’re off to the Filipino store to drop the boxes off. This photo was taken by John Liwanag. 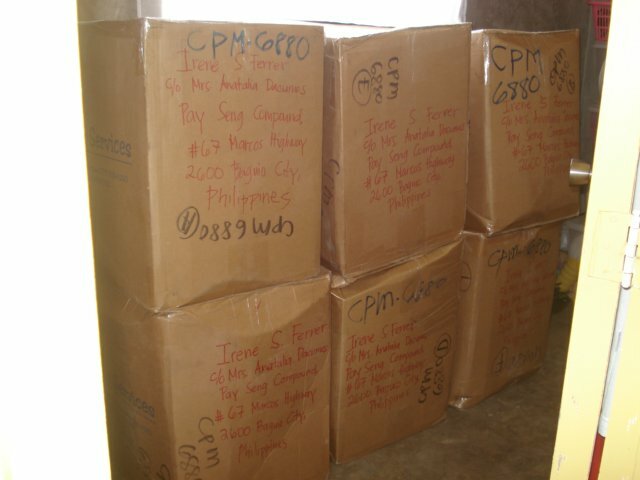 After about two months, the boxes reached Baguio. A great illustration on cooperation: Irene and Israel had no trouble splitting the contents at all. Whichever would be useful to either one, they both knew to give way. I totally appreciated this. Many times those at the receiving end never get what was intended for them because the in-betweens become the roadblocks. This photo was by Irene Ferrer. 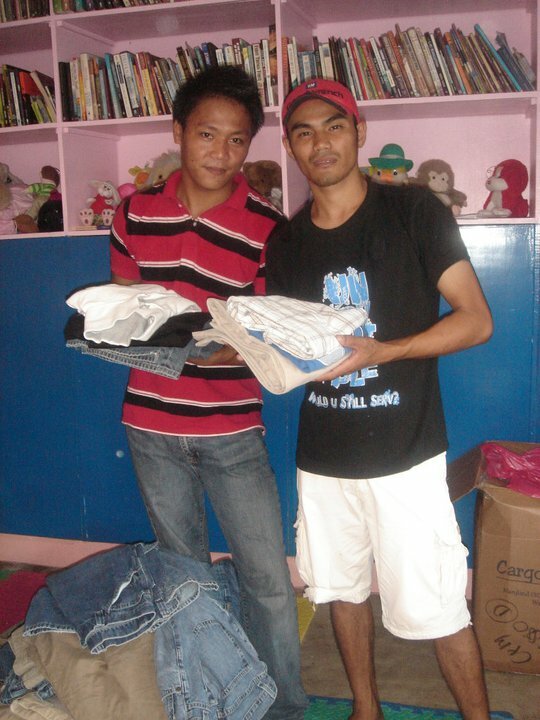 In the next three photos by Israel Tarlit, you’ll see a bit of where the donations went. The projects are ongoing, I’ll update as I receive more photos. 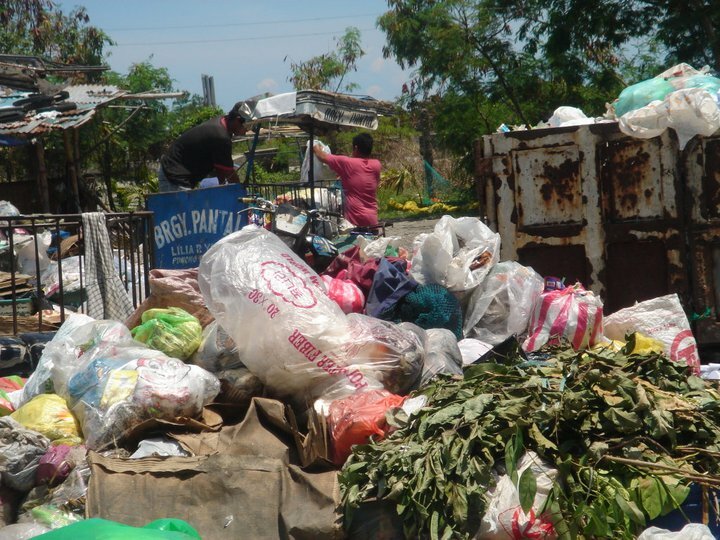 First, to a community of garbage collectors. Israel and his team are regulars here. God’s word is all important, but there’s also today to think about. With families to feed, these men need the physical evidence of the love we preach. The work gloves, masks, clothes, toiletries helped solidify that message. Clothes for the local pastors. It’s no secret that many pastors back home receive barely enough support. What we sent isn’t much, but I hope they know we appreciate what they do. Candies for kids. If you’re a mom, then no explanations are needed. So, I share this with you not because I want credit, but because I want you to see how we all can make a difference, no matter how simple our actions are. thank you again…. it’s truly a joy to be a channel of blessing! 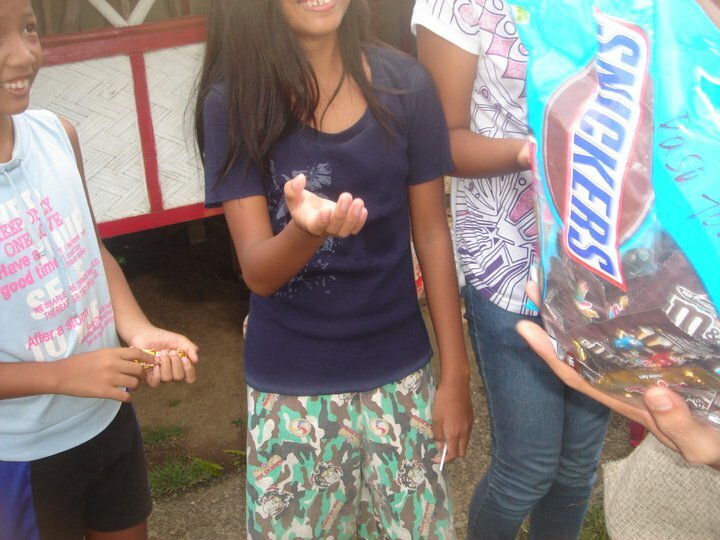 I’m so very happy that some one like you are ready to share the blessings to the needy people in a simple manner of investing for the ministry of our Lord Jesus. Keep up the good work for His glory. God bless you all.